We are proud to announce our partnership with Discovery Vitality. 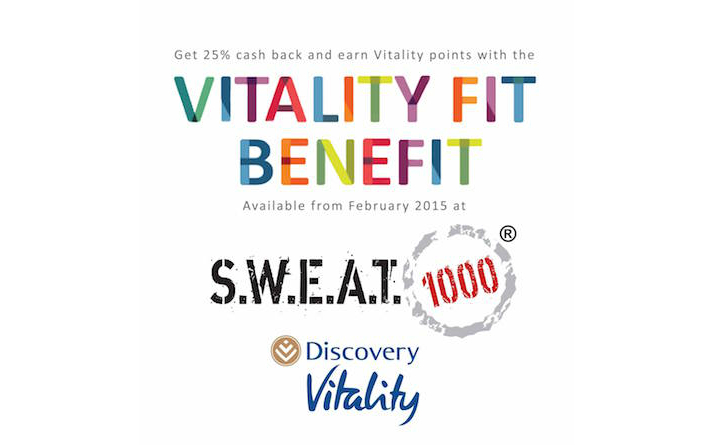 From this February you will earn Vitality points and get up to 25% Cash Back on your S.W.E.A.T. 1000 Packages. Make sure you get your full benefits by activating Vitality Fit on your Discovery profile and then you are good to go.